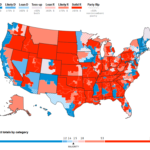 Nate Silver has his model up for projecting control of the House of Representatives after the mid-term election: Democrats have a 75% chance to win a majority of seats. Those are odds you’d rather have than not, but not as strong as you’d instinctively feel. 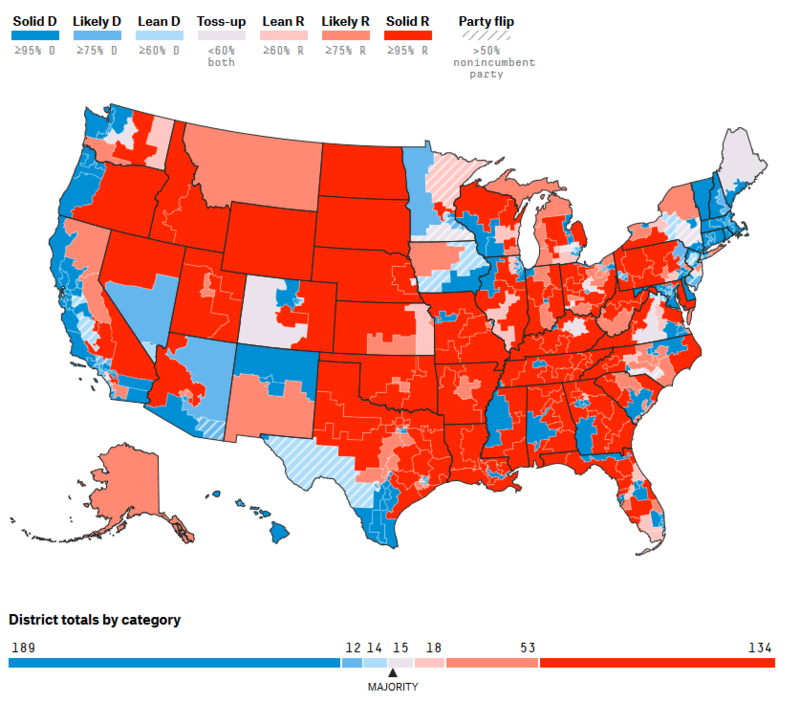 Republicans retaining control at a 25% chance would not even be an upset — run the mid-term elections, hit the reset switch, and re-run them again three more times and Democrats come out on top 3-of-4 times, Republicans 1-in-4. If I’m not mistaken, Hillary Clinton had something like a 75% chance to win in 2016 and look how that turned out. This stuff isn’t nearly as simplistic as averaging public polls, these models are very complex that adhere to strict scientific methodology. If you like that sort of thing, go check out the details of the model.